The Usambaras are known for their pleasant climate, magnificent viewpoints and fertile soil. During the colonial era the Germans and Englishmen settled here. You can see the old buildings from the colonial period still everywhere. 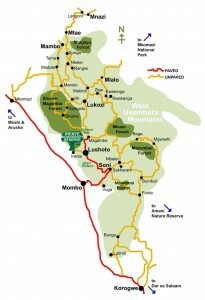 From Lushoto you can go out on one or more days hiking. 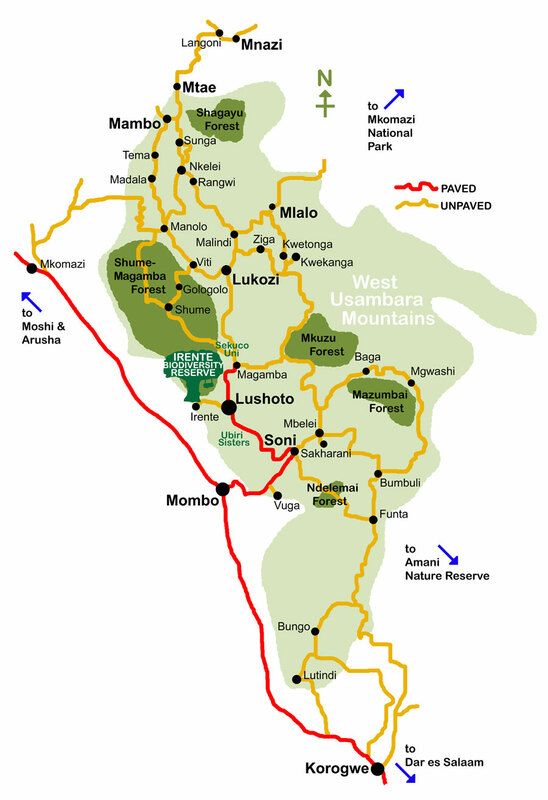 The Usambara Mountains are true hiker’s heaven. So come and enjoy your one, two or more day trips through the mountains, visiting villages, Irente Viewpoint & Irente Farm, where nothing is between you and the plain one thousand meters below, Magamba Rainforest with its chameleons and colobus monkeys, Mkuzi Waterfall, referred as to “the only swimming pool here in the mountains” or Soni Waterfall, right in the village of Soni. Of course there are even more Tours with lots of adventures to undergo. Click this map to extend it.